After so long since it was it was in mainstream use I am still doing regular work for customers with SCO Openserver, gradually they are all coming off the platform, but while it is still in use it’s nice to have the best possible experience. 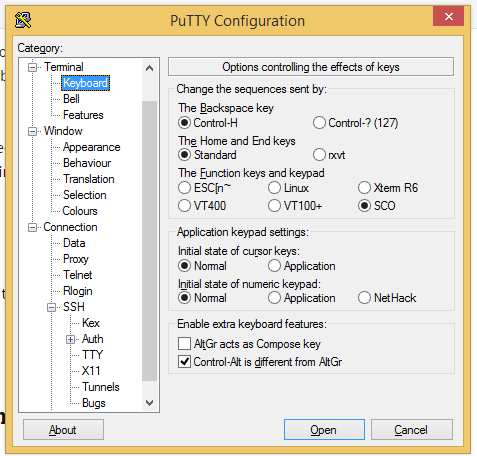 A lot of the time if I am in a rush I will just use the Windows telnet client to connect to SCO Servers but really putty is so much nicer and you only need to change a few settings to get great compatibility with SCO. Change the remote character set to ISO-8859-2: 1999 (Latin-4, North Europe). 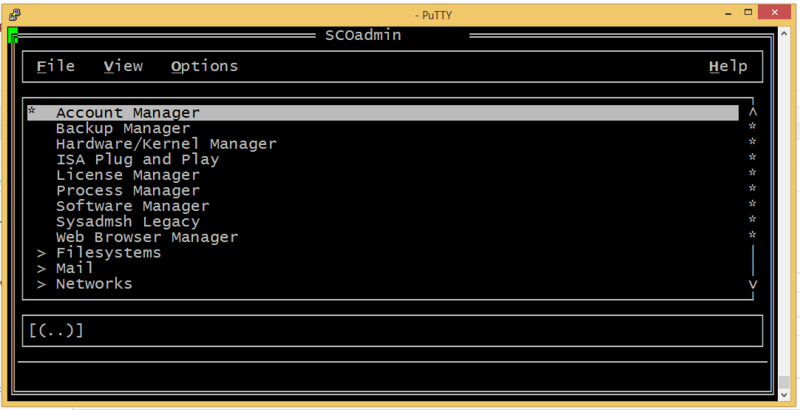 Set your TERM environment variable to xterm and you should have a decent looking display and emulation when using SCO. Personally I sometimes like to have a 132 column width display which you can easily do by setting the terminal type to ansi-w in SCO and then changing the number of columns in putty to match.